INVITE ME TO YOUR BOOKCLUB! 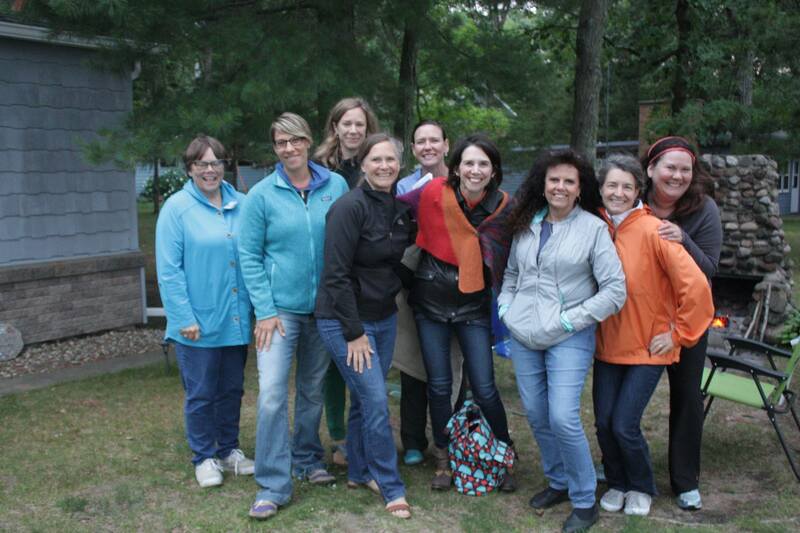 I love talking with bookclubs reading Hundred Miles to Nowhere. I can come visit, or call via Voice, Skype, or Facetime, too. Contact us to learn more. 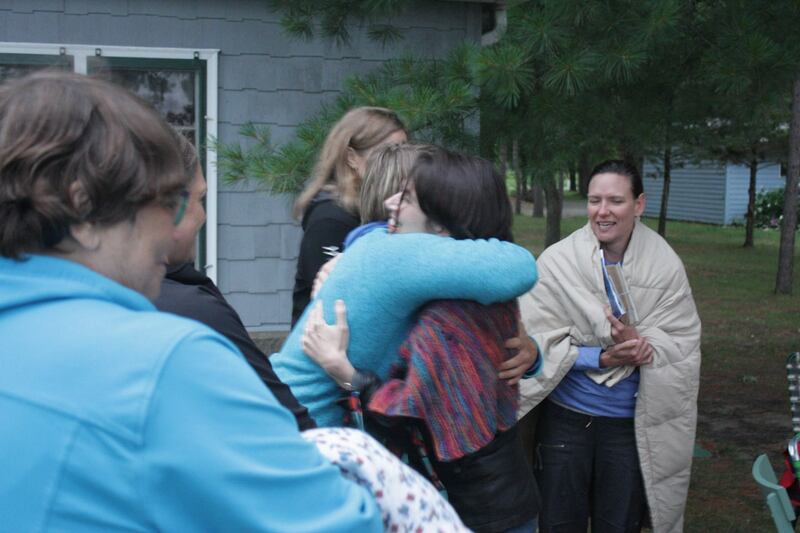 Reader’s Guide: created by Elisa’s own bookclub especially for Hundred Miles to Nowhere. 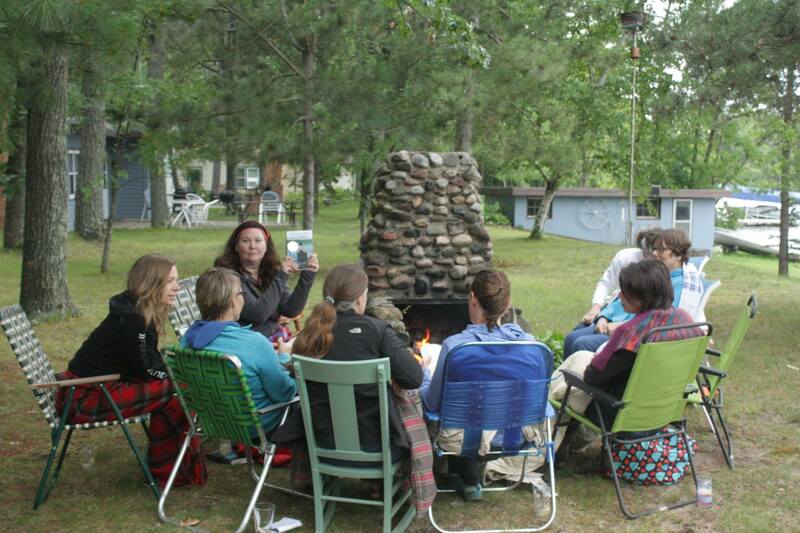 A book discussion is made even better by an outdoor hearth by a lake. 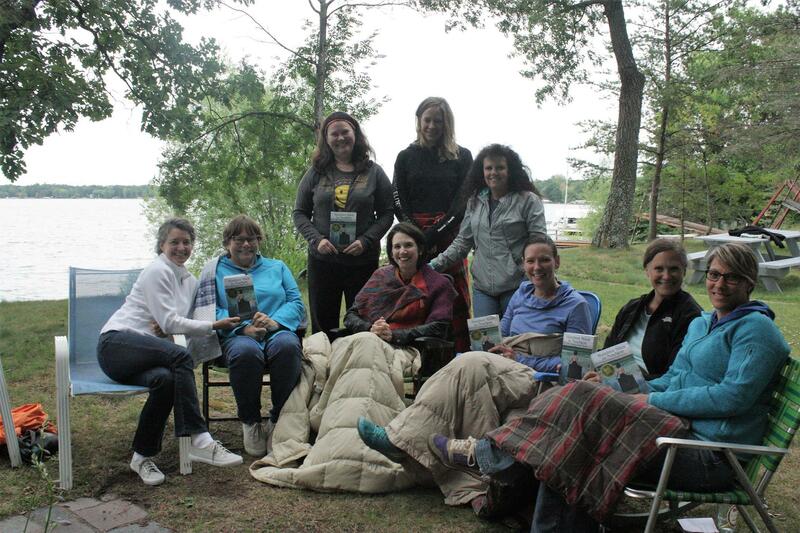 Elisa Korenne visits the Brainerd Book Club at Crow Wing Lake. 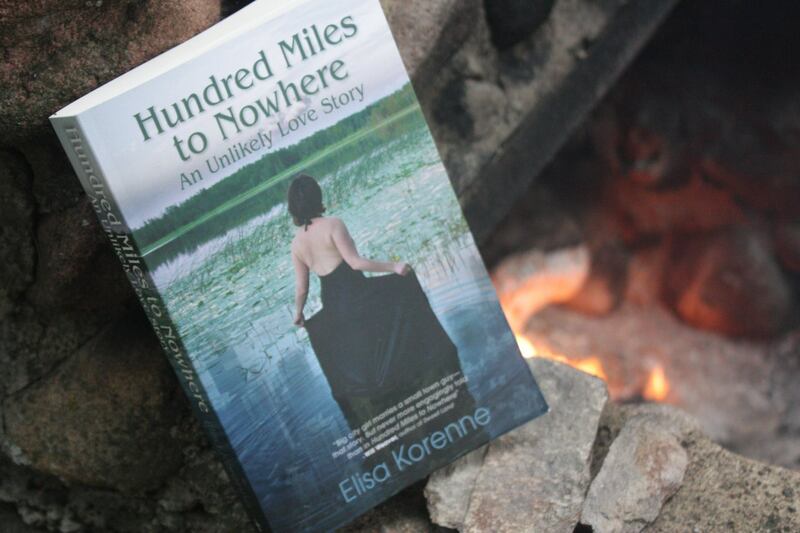 Hundred Miles to Nowhere by the outdoor fire. 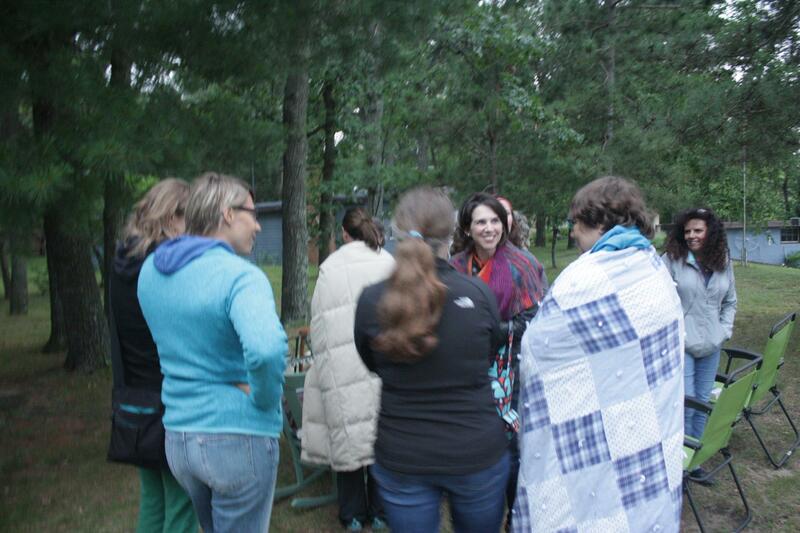 Elisa Korenne huddles among the vibrant women of Brainerd Bookclub. 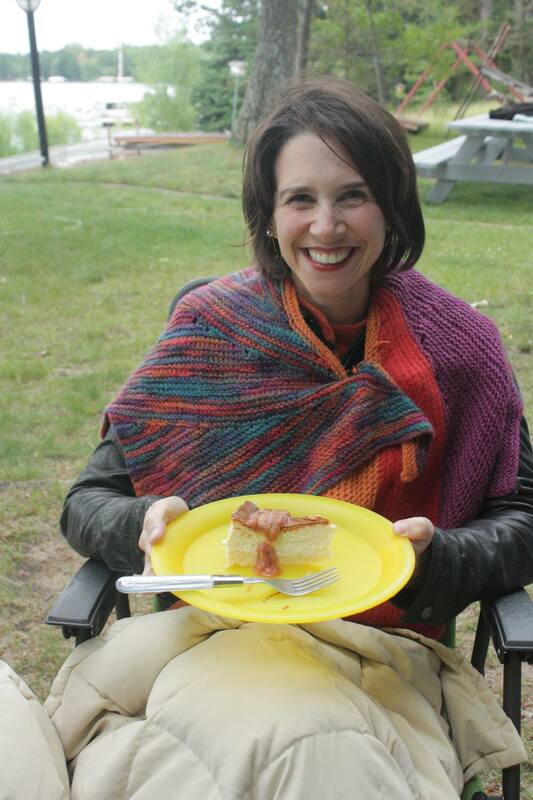 The official Hundred Miles to Nowhere Dessert: NY-style cheesecake with rhubarb sauce, created by Kathleen of Brainerd Bookclub to combine NYC and Minnesota cuisines.